Who can believe that our miniature royal is about turn 4? Prince George is officially leaving his toddler phase and about to become a big boy starting primary school this year! 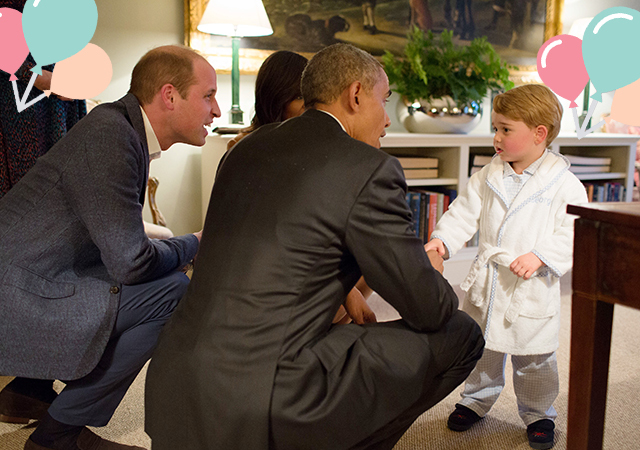 And as we already know George is a fan of My 1st Years we thought we’d put together the perfect gifts for a special Prince. And if you’re not looking for the best birthday gift for George fear not these are all perfect presents for a little Prince in your own home. 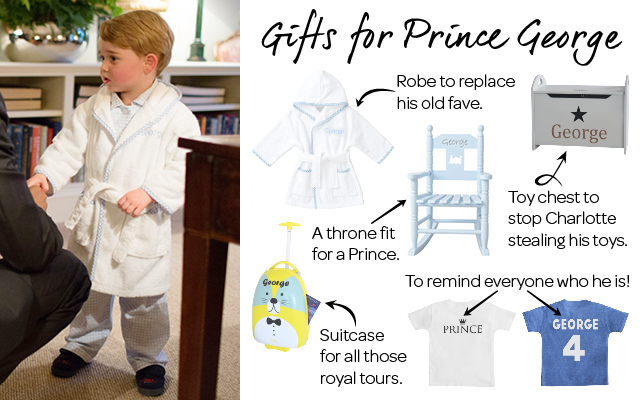 We know His Royal Highness already owns a robe but being a growing boy we imagine that’s starting to fit a little more snug than it used to, luckily with our gingham robe going up to age 7 we think he’d love to unwrap a brand new one. Every Prince needs a throne and when you’re still little our rocking chair is the ideal spot for reading stories and taking naps. The royals have already announced George’s love on transport so we think he’ll love our train cut out chair even more! Our toy boxes will be the perfect place for George to hide his Crown Jewels, or any new gifts he receives for his Birthday. We know little one’s can be a little territorial with their toys so we know he’ll love seeing his name across the front, stopping Charlotte stealing any of his teddies and figures. Little George is always going on royal tours, most recently having visited Poland and Germany, so we think he’d love his own suitcase to carry around his favourite toys and outfits. We can just imagine how adorable cute he’d look pulling our racoon case behind him. We imagine it can be tiring keep introducing your royal status to every new friend you meet at the park so we thought George would enjoy wearing this stylish tee, that way no-one will be confused as to who he is! We think every birthday boy should be treated to our celebratory t-shirt, that way he can show off his how grown up he is with his new and improved age and name emblazoned across the back. Also Kate and Wills will get to treasure the memory forever by keeping the special top in their memory box.